Philips promises a real close shave with its new PowerTouch series of electric shavers. The Norelco 3500 (formerly PT730 PowerTouch) is one of the best selling models and aims for balance between performance and price. Find out what’s our take on it. Wrap-up. Who should buy it? Due to its ergonomic profile and reduced weight, this razor feels very comfortable in hand. It also features a non-slip rubberized area in the front for a very secure grip. If I were to find anything wrong with the built quality I would have to say that it just doesn’t feel as upmarket as you would expect from a Norelco shaver. It is a bit too plasticky. But then again I might be too picky since this is one of the least expensive razors. Overall, its design and construction should be good enough for most people. The Norelco 3500 offers the very convenient feature of corded/cordless operation. This is a very good thing considering that you’ll have to wait 8 hours for a full recharge. That should give you enough power for one or two weeks of cordless shaving, depending on your style. You do have the option to quick charge it for 3 minutes if a power outlet is not within your reach. Also, being a Li-Ion battery means that it won’t overcharge and affect battery life in the long run. This razor is one of the easiest to clean: just pop the shaver head open and rinse it under running water. That’s it. If you want to clean it more thoroughly you can use the included brush. 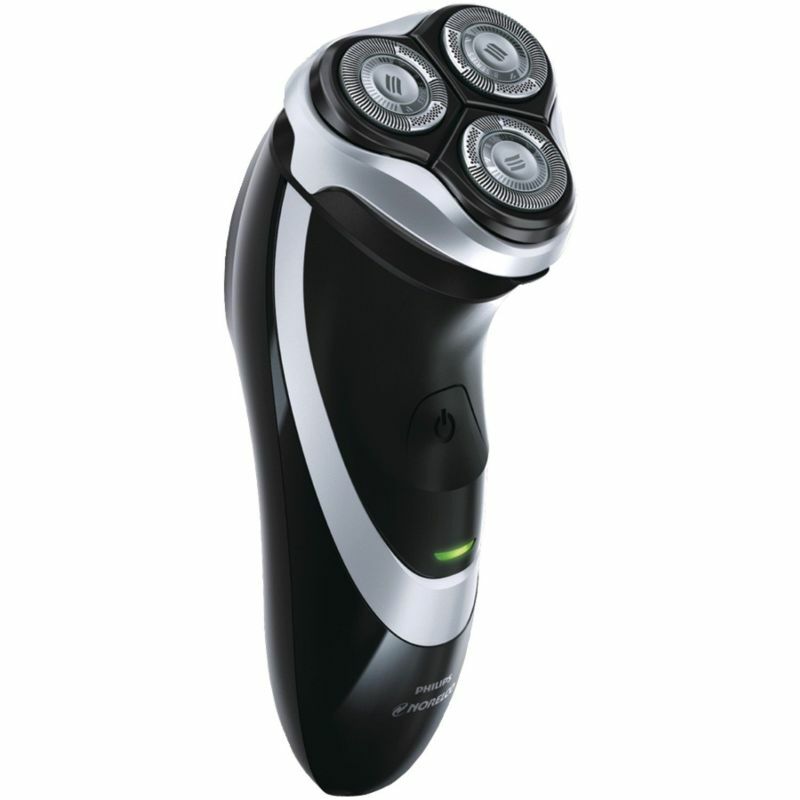 The Philips Norelco 3500 will provide a close and comfortable shaving experience for most men. It’s also great for shaving your head if you’re looking for a razor that needs to be good at that. The trimmer is also extremely well designed. The positioning and the fact that it’s long and not too wide means that you can actually see what you’re doing and the shaving head won’t get in your way. As with all shavers, not everything is perfect and this one has some minor drawbacks. First of all, the motor is not as powerful as on older Norelco shavers and some may find that it takes a little longer to shave. This shouldn’t be a problem at all if you’re a daily shaver since it can deal with short stubble without any problems. Where it might struggle a little is with long or very tough beards. If you shave every 2 to 3 days or more you can experience some pulling. In this case, the Norelco 3500 may not be the most suitable for you. You won’t find any travel pouch though. This razor is cheap to buy and “cheap to run”. 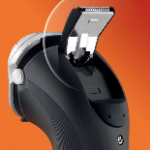 Philips recommends changing the shaving head every year, but they seem to last much longer than that and still provide a close and smooth shave. The replacement part is Philips HQ8 and can be found on Amazon at a very reasonable price. Overall, the Philips Norelco 3500 Shaver is a very good, simple, effective and reasonable priced shaver. I would recommend it to the daily shaver or to anyone getting into electric shaving. This can be a great first shaver as it’s comfortable and simple to use. You can currently buy it at an excellent price and you’ll get a lot of shaver for your buck. For just a marginal difference in price, you can opt for the Philips Norelco 4100 (AT810). It’s basically the same shaver, but with wet shaving capabilities and it can be fully charged in just one hour. Maybe it was because I was new to electric shaving and didn’t have the correct technique down yet, maybe it is my beard, but I never got a close shave with a rotary electric shaver and had other problems with them. There were times it was like not shaving at all making repetitive pass after pass and not do much more than just knock the tops off the beard hair. Never a smooth spot on my face, just lowered stubble. And then there were the ingrown hairs and bumps, sometimes turning into cysts on my jaw line or neck. Always left with long hairs and stubble the razor couldn’t touch and a deteriorating skin condition the rotary shaver sent me back to my double edged blade several times until I tossed the electric in the garbage can determined to never look back. Lift and cut was a marketing lie as far as I was concerned. The answer for me was the Foil shaver. I have a full face/neck beard of average thickness yet extremely coarse, think coarsest grade sandpaper, and a beard that lays in one direction on each section of my face. When I was put on blood thinners and nicked myself once very lightly and squirted blood for about 5 minutes I decided to give electrics one more try and this time went with the Bruan 340-S and am elated that I did. I would have to do a four way shave with a Feather blade and spend about 30 – 40 minutes shaving/re-prepping to get the results I get with that Bruan 340 in about 15 minutes. A BBS shave with NO razor burn, cuts, nicks or ANY discomfort in any way. Just for fun once I bought a bottle of Mennen Skin Bracer see how it felt after a shave with this heaven-sent electric and it was like splashing cool water on my face…that’s all. No burn or redness. If you have ever used Skin Bracer you know what I mean. Even with the Schick Hydro and shaving with the grain Skin Bracer will burn you and leave your face reddened. I fell in love with my Braun 340 and will never return to a blade/wet shave again…but will never use a rotary shaver either. I honestly think there are Foil men and Rotary men and I’m a Foil guy and sorry to say I hate Rotary’s and will never use one again. Thank you for sharing your experience, William. I must say that I fully agree with your opinion regarding rotary and foil shavers. Different strokes for different folks. Even though I get along well with both types of shavers, I was always more at home when using a foil shaver and the results were also superior. There are of course men that prefer rotary razors for the same reason: they simply work better for them. Right now my go to shaver is a Braun 380s-4 and it is pretty much identical in terms of performance to the 340 that solved your shaving problems. It is without a doubt an excellent product with a very reasonable price. I’m glad that you managed to find a shaver that is right for you. I love my Norelco shaver. I grow thin stubble so an electric is perfect for me. This shaver has a quiet motor but gives a close shave. I always start with a pre-shave lotion, shave, rinse off then finish off with my favorite aftershave. My Norelco feels right in my hand and is easy to get around the face and around sideburns. I am ordering a Panasonic foil to compare. Thanks for your comment, Ernest. It is indeed a very quiet shaver, especially when compared to foil shavers. A pre-shave lotion or powder is something everyone should try, even though the improvement is not always so noticeable for some men. Let us know how your new foil shaver from Panasonic performs.